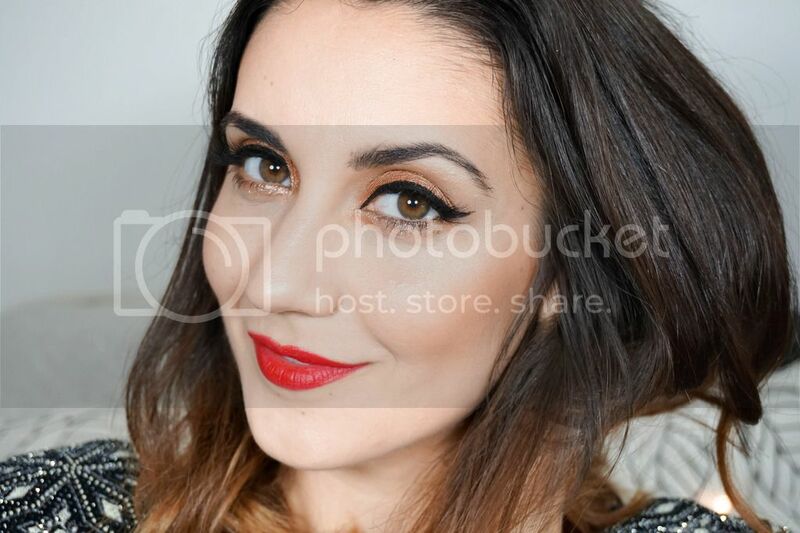 The lovely team over at Tweezerman has recently discovered my blog through the Beauty Blogger Awards, since I am one of the finalists (can't believe there's actually less than two weeks left to the awards… very exciting). As a little congratulations for making in to the finals, they didn't just send me out the cutest personalised Tweezerman Classic Steel Slant Tweezers*, which I just adore but also asked me if I wanted to become one of their beauty ambassadors and of course I said yes. 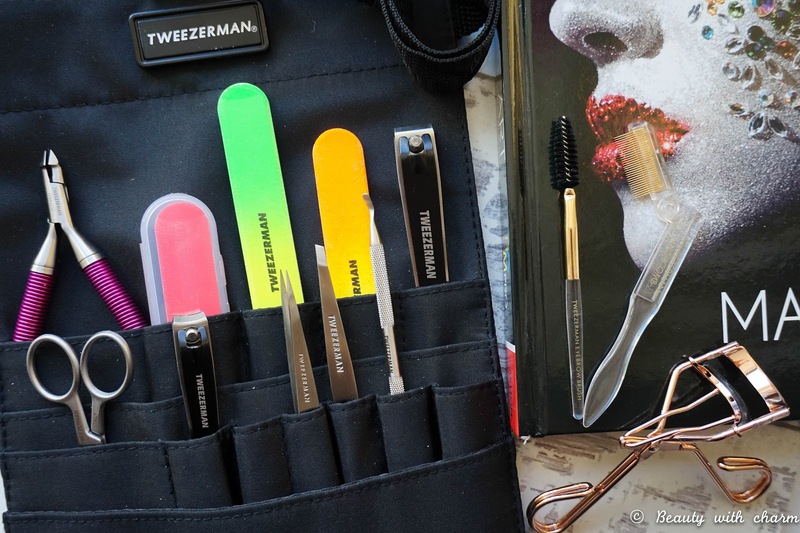 To introduce me to the brand and their products, the team put together a very special beauty tool kit* filled with brows & nail care accessories (so much that I don't even know where to begin so thank you very much Tweezerman). 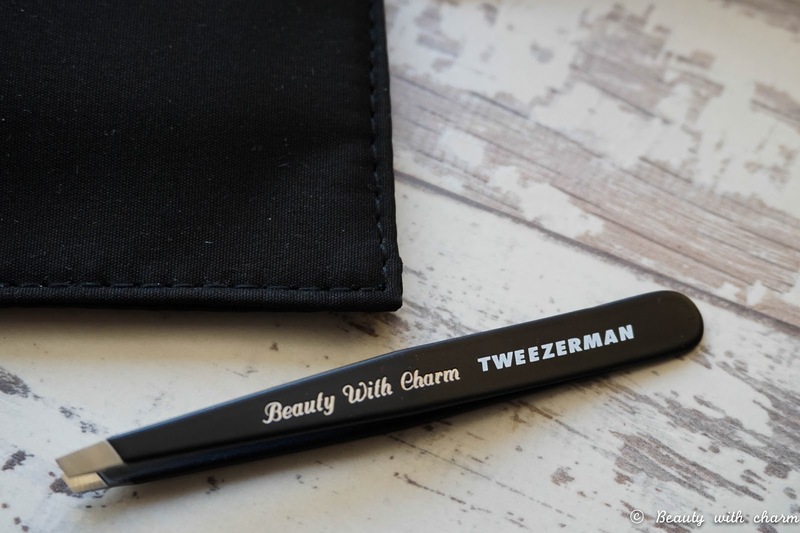 I'm not new to Twezerman as a brand, since I purchased my first ever mini Tweezers from them over two years ago & it still works amazingly well to this day. So I really believe they are a fantastic brand, which make really high quality products. It's no wonder they are known as the beauty tools experts with so many beauty awards under their belt. 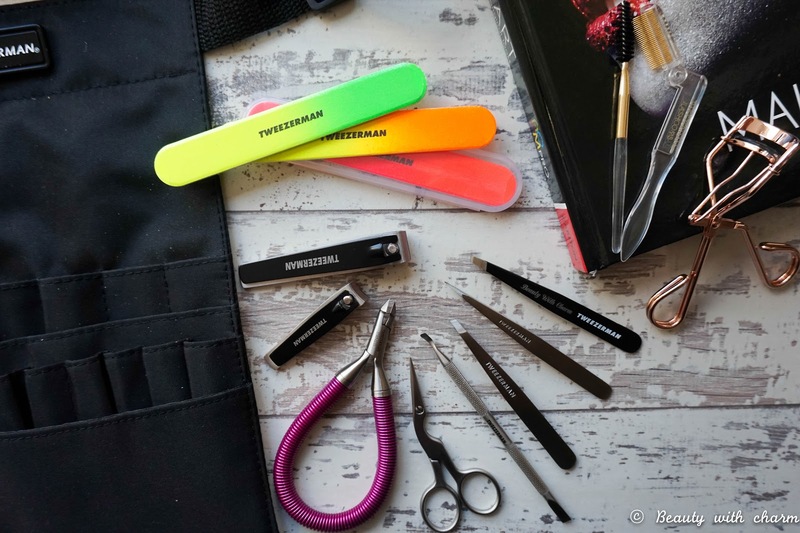 I actually had no idea just how wide their selection range of tools was until I researched them properly and to my delight they even cater to men and have also released a range of makeup brushes (so there really is something for everyone in the mix). At first you might be put off by the price as they do go a little higher then your usual drugstore beauty tools, but in the long run they end up saving you pennies as they last so a really long time (I speak from personal experience with their products long before I was even blogging). So what exactly was included in my customised kit... I'll try be short & sweet about it all as there really is so much, plus I've only had the chance to play with a few of the items. First up let me get through the few makeup tools that were included, a gorgeous Rose Gold Eyelash Curler & a folding ILashcomb. Straight away I was impressed with the lash curler because it's rose gold (yes pretty things please me easily) & it performs just as well as my much loved Shu Uemura curler. 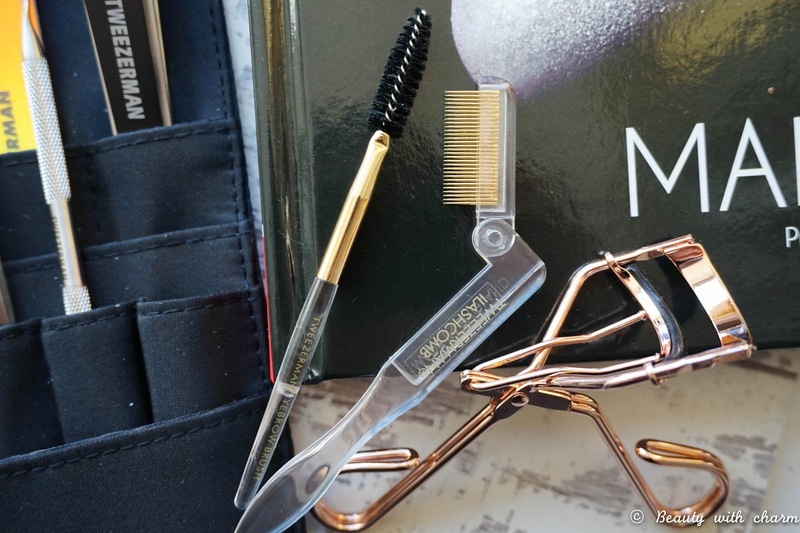 The lash comb is totally new to me as I have never used anything like it. It does take a bit of practice to get to grips with it, but I've actually loved using it after applying mascara if I get the dreaded spider lashes look, because this separates them effortlessly. Then it's onto the brow tools where I found another Slant Tweezer because you can never have too many right?! A Point Tweezer, which to be honest I am still trying to figure out how exactly I can use this, apparently it's amazing for gripping the finest hair including ingrown hairs, so I'm looking forward to giving it a proper testing soon. 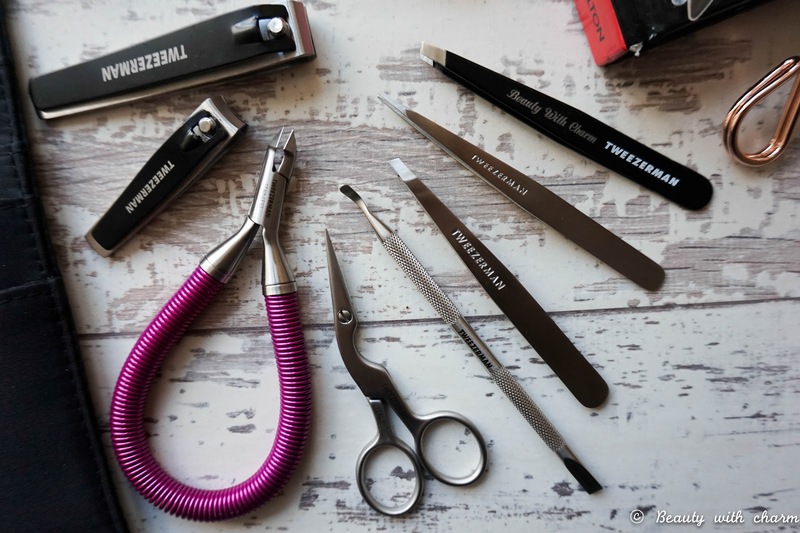 Lastly there was also a Brow Shaping Scissors & Brush, which is perfect for me as my brow hair tend to grow much longer than I like them to be (anyone else?! no just me). Then it's on to the nail tools which are always welcomed in my house because for some reason they are the tools that seems to disappear into thin air (go figure). First up I've got some Neon Filemates, let's hope the bright colours will make them stand out if they ever get lost in the house. 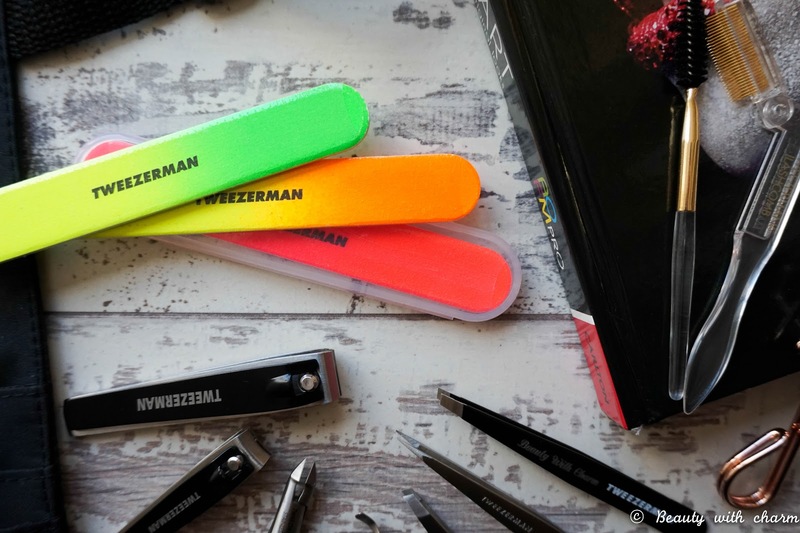 What I love most is their size, perfect for popping in my handbag especially with the plastic carry case included, because I seem to chip/break my nails at the most awkward times. Then it's the Combo Clipper Set for toes & feet, pretty self explanatory & they are nicely sharp which means keeping my nails trimmed is a breeze. Next up I've got the Pushy & Nail Cleaner, which is an underrated beauty tool in my opinion. I love having something like this in my nail kit because it really helps keep my nails cleans & push back my horrendous cuticles. Last up I've got one of my favourite tools of the bunch, the Grip & Snip Cuticle Nipper, which is something I use on a regular basis. There's mixed opinions on wether we should be cutting our cuticles or not, but I am definitely one of those people that needs to trim them. They are always super dry & grow at amazing speed (if only my hair could grow as fast), so keeping them neat is a must for me & this tool is perfect.